did you look at the other cakes? so funny + amazing. mmm, they might make cake taste even better. Those are great! I inherited a lot of very old and beautiful tea sets, I think I shall try this idea at my next gathering! Thanks for posting...always great ideas! These are so pretty - what a great idea. I wonder if the flowers are edible? Are they royal icing flowers? 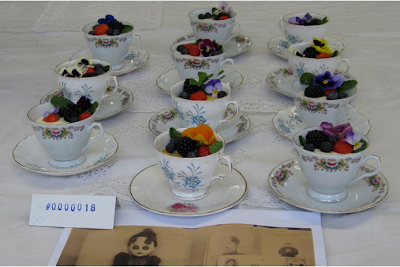 Or real edible flowers?